Tortoiseshell glass was made during the 1800s and after by the Sandwich Glass Works of Massachusetts and some firms in Germany. Tortoiseshell glass is, of course, named for its resemblance to real shell from a tortoise. It has been reproduced. 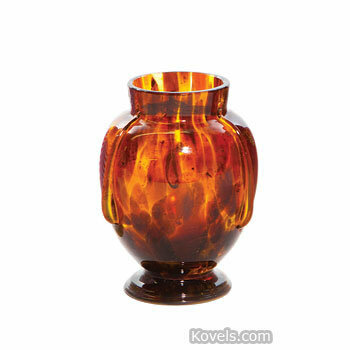 Many of the tortoiseshell glass pieces are from the late nineteenth century.